Donnachiara Winery is set on the picturesque hills of Campania in Montefalcione. This boutique winery is run by Ilaria Petitto, Ilaria is supported by her mother Chiara. Chiara is the niece of Donna Chiara Mazzarelli Petitto, for whom this company is dedicated. The winery was founded in 2005 on the original ancient property that has been in the family for 150 years. Donnachiara produces Irpinia’s three DOCG wines, Fiano di Avellino, Taurasi and Greco di Tufo, as well as the traditional Aglianico and Falanghina wines. The winery is women owned with Ilaria as the CEO. I had the opportunity to meet Ilaria in New York City last month, where we had the opportunity to try nine of her wines. Tasting the wines across the Donnachiara portfolio gave a deep dive into her wines and the region. Campania is one of the oldest wine regions in Italy, dating back to the Greeks, who first cultivated locally indigenous grapes. Campania is home to over 100 indigenous Italian varietals. Ilaria believes these ancient grapes express the history and richness of the land. Throughout lunch, Ilaria exuded confidence and her expertise and knowledge was clearly visible. Giving a little background of herself, she revealed she was a lawyer by training. Her success has come from her attention to detail, and making the highest quality wine, all the while respecting family traditions. Ilaria has invested in technology. The winery is modern with advanced technology and tools for producing some of the best wines in the region. Ilaria emphasizes that family tradition is the heart, the soul and the basis of their foundation. Great care and attention is given to the land, the vines and the grapes, producing wines of elegance and high quality. In addition to investing in modern technology, Ilaria bought on Riccardo Cotarella as oenologist for Donnachiara. Riccardo is one of the most renowned and respected oenologist in Italy. Riccardo understand and appreciates that Ipernia makes the highest expression of Taurasi, Greco de Tufo, Fiano and Falanghina in Italy. With her recent appointment to the Consorzio, Ilaria’s goal is to the raise the bar for region and most notably the Falanghina varietal. Ilaria is deeply passionate about her wines, the region and the local varieties. Donnachiara’s philosophy is to preserve the traditional grapes of the region. For many years there was one large producer in the region Mastroberadino, then in the 1990’s many small producers started making wines in the region, but they wanted to soften and tame the wines and the region suffered. Aglianico and Taurasi wines were virtually unknown to the world, today thanks to the efforts of some large producers, Ilaria and the Consorzio, they have made great efforts in bringing the standards and practices up in the region. During lunch we took a deep dive, tasting 9 wines. Campania has been a region that is highly regarded for its full-bodied red Taurasi wines, but the white wines from Donnachiara exemplified how far the region has come in creating complex, textured white wines. We tasted three white varietal from her portfolio, Greco di Tufo, Falanghina and Fiano di Avellino. These wines have wonderful aromas, textures and flavors, but also a minerality and complexity that represents terroir and a sense of place. The grapes come from the volcanic soils of region and high elevation vineyards. The Donnachiara Taurasi wines owe their characteristics to its unusual microclimate and elevation on which the vines are grown. The soils are primarily calcareous clay, with volcanic minerality from the eruptions of Mount Vesuvius. The Taurasi wines are structured complex and ageworthy. The Falanghina grapes come from the heart of Taburno territory. Notes of lemon, pear, apricot and citrus, with nice bright acidity. 100% Fiano with a light pale straw color. Fiano di Avellino takes its name from the variety that the Latins called Vitis Apiana, referring to the sweetness of the grapes that was irresistible to bees. This is a wine with a sense of place and origin. A nice bouquet of almonds and tropical fruit hit the nose. The wine is smooth with rich complexity and texture. This was one of my favorite whites from the tasting. There is a delicate bouquet which elegantly combines hints of almonds, walnuts, tropical fruit and floral notes. Wonderful aromatics of lemon, pear and pineapples. Creamy mouth with a well-preserved taste of apricots and mint. This was a barrel sample, so a real treasure to taste this wine. Smooth, elegant and structured, with good freshness and a great persistence. The wine has a special meaning for Ilaria. Ilaria’s family has a metal business (resiliency of metal). Thus aptly named Resilienza. Falanghina is varietal Ilaria wants to elevate. She sees great potential and resiliency in Falanghina. The wine is fresh and bright with flinty qualities. Dark fruit and spice on the nose and palate with hints of plum, dark cherries and clove. Elegant with nice structure. Still youthful and will age effortlessly. Rich layers of complexity. Notes of blackberry and plum with coffee. Elegant structure with a distinct sense of volcanic minerality. Elegant and full-bodied with chewy tannins. An award-winning limited production Taurasi that maybe one of Donnachiara best wine. Dark fruit, spice, cocoa, and tobacco hit the palate. Elegant, structured and persistence with supple tannins. A gorgeous, rare and exceptional wine. Donnachiara is delivering some of the best red and white wines from Campania, creating benchmark wines to raise the standards for the region. It was a wonderful lunch exploring nine incredible wines by Donnachiara, a winery with women at the helm. Ilaria Petitto, strong, smart, dynamic and confident, raising the standards of this historic wine region. Tasting the wines of Donnachiara is like talking a journey to Campania through a wine glass. To make sure you are human, please solve before posting. 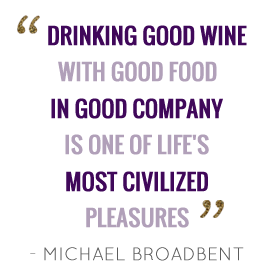 I am a lover of fine wines, great food and adventurous travels.